For more than 80 years, no new school was built in East Los Angeles. In the past several years, the efforts of a community organizing group, a dedicated group of teachers, an array of community partners, the students, and the parents converged to demand change -- and to make it a reality. 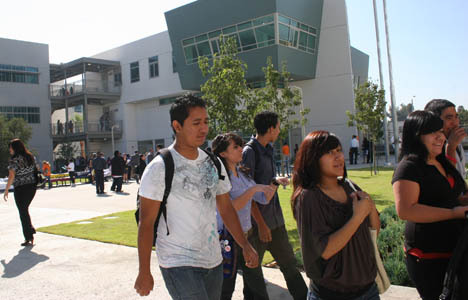 Now the Esteban E. Torres High School is a beacon of hope and opportunity in this low-income, largely Latino neighborhood. InnerCity Struggle (ICS)and Los Angeles Education Partnership (LAEP), organizations that played key roles in the development of Torres, continue their strong partnerships with Torres to support success of the school.